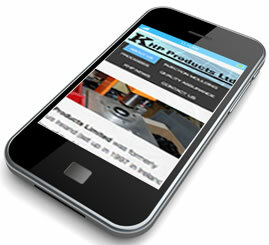 This is the new website of KHP Products Ltd. The new website was commissioned to reflect the evolution of our products and processes and to enable visitors to understand the range of services we offer. KHP Products website is based on WordPress content management system using the robust and secure Genesis Framework. The website can be easily updated by our staff and we will continue to bring you information about new products and processes and other news concerning our industry. This website uses the latest mobile responsive technology which means it automatically adapts so that it can be viewed easily in mobile devices like iPhones, iPads and other smartphones and tablets. So if you are on the move you can still keep in touch with KHP. We invite our customers and visitors to browse our new website and we welcome any enquiries you may have.